English residents can’t go over the the border to get the cheaper prescriptions – you must be a Scottish resident. 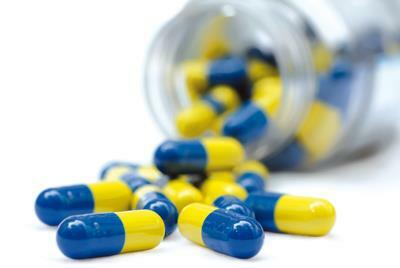 All prescriptions are free in Wales, but only for welsh residents. English residents can't go over the border to get the free prescriptions. You must be resident in Northern Ireland to get prescriptions for free. 12-month prepayment certificate (PPC): £104.00 (no price increase this year). This is cheaper than 12 prescriptions. 3-month prepayment certificate (PPC): £29.10 (no price increase this year). This is cheaper than 4 prescriptions. Please note that the charge is per item (medication) and not per physical prescription page. It is not more or less expensive to have all of your medications printed on one page. If you are under 19 and also in full-time education. If you have an NHS tax credit exemption certificate. If you have a war pensioners and if your treatment is connected with the pensionable disability. If you have a prescription exemption certificate (see below). If you have low income and have a certificate HC2 (see below). You may receive a penalty charge notice (a fine) of up to £100 per item if you incorrectly or mistakenly claim that you are entitled to free prescriptions. Who can get a prescription exemption certificate? Get form FW8 from your doctor, midwife or health visitor to apply for a Maternity Exemption Certificate. The form is sent off to the Prescription Pricing Authority who will issue the certificate. Forms of hypoadrenalism such as Addison's Disease. Myxoedema (underactive thyroid) or other conditions where supplemental thyroid hormone is necessary. Epilepsy requiring regular anti-epilepsy medication. If, because of a permanent disability, you cannot leave your home without help. If you have one of these conditions, get form FP92A from your doctor's surgery and fill it in. This is sent to the Prescription Pricing Authority who will issue a Medical Exemption Certificate. If you have a Medical Exemption Certificate or Maternity Exemption Certificate, all your prescriptions are free, whatever the medication is for. prescriptions for contraceptives are also free of charge. Some people on a low income may qualify for help with health costs such as prescription charges. Your entitlement to help is based on your circumstances such as your level of income, savings, etc. Use form HC1 'Claim for help with health costs'. See below on how to get this form. You have to fill in the form giving various details of your circumstances. If your application is successful, you will receive either certificate HC2 or HC3. Certificate HC2 means that you will not need to pay the following health costs: prescription charges; NHS dental charges; eye tests, glasses and contact lenses; travel to hospital for NHS treatment; wigs and fabric supports. Certificate HC3 provides partial help with some of these health costs. Certificates are usually valid for six months. If your circumstances remain unchanged after six months then, if necessary, make a new claim before the current certificate expires. How can I get the claim forms? phone the Department of Health Publications Orderline on 0300 123 1002 (minicom 0300 123 1003) nd ask for a form to be sent to you. If you will have to pay for four or more prescription items in three months, or more than 14 items in 12 months, you may find it cheaper to buy a PPC. The charge for a single prescription item is £9.00 (from 1st April 2017), whereas a three month PPC will cost you £29.10 and a 12 month PPC £104.00. A PPC covers you for all of your own NHS prescriptions, no matter how many items you needIf you have to pay a prescription charge while you are waiting for your PPC, you may get a refund as long as you have an NHS receipt and refund form FP57. The pharmacist or dispensing doctor can only issue an FP57 at the time you pay the prescription charge - they cannot issue you one later. You can claim the prescription charge(s) back up to three months after paying. The FP57 tells you what to do. But remember the PPC itself can only be backdated by one month. One of the topics surrounding NHS prescription charges is that in some cases the drug prescribed, for which you will be paying paying £9.00, can be purchased over the counter without prescription for less. It is important to get to grips with the system to ensure that you are not paying unnecessarily and, when payment is required, to ensure that you are expending the least possible money in the circumstances. Welcome to our repeat prescription system. For your safety, when you request your repeat prescriptions, the system will now check your request against your list of repeat medications. This means you will need to log into the clinical system. If you don't yet have a password, please bring some identification to reception to be issued with a password. From then on, you will be able to request prescriptions online and even book (or cancel) your appointments online as well! At 8am all scripts that have been received to date will be processed and will usually be ready for collection within 48 hours. There can be exceptions - for example if the manufacturer has a supply issue, so its best to allow yourself a few days so you dont risk running out of your medication. Please note that requests that are received after 8am will be processed at 8am on the next working day. Requests received by 7.59am on Monday, will be processed at 8am on Monday and will usually be ready for collection on Wednesday. Requests received @ 8am or later on Monday, will be processed at 8am on Tuesday and will usually be ready for collection on Thursday. Requests received @ 8am or later on Tuesday, will be processed at 8am on Wednesday and will usually be ready for collection on Friday. Requests received @ 8am or later on Wednesday, will be processed at 8am on Thursday and will usually be ready for collection on Monday. Requests received @ 8am or later on Thursday, will be processed at 8am on Friday and will usually be ready for collection on Tuesday. Requests received @ 8am on or later on Friday, will be processed at 8am on Monday and will usually be ready for collection on Wednesday. Requests received @ 8am on or later Saturday, will be processed at 8am on Monday and will usually be ready for collection on Wednesday. Requests received @ 8am or later on Sunday, will be processed at 8am on Monday and will usually be ready for collection on Wednesday. We are processing over 23.000 prescription items a month so please allow enough time for your regular medication to be processed. If you have an urgent request or find yourself with exceptional circumstances or even if you just got yourself in a pickle please talk to our friendly staff. We will do everything we can to help. SystmOne is the clinical system that we use at the surgery for booking appointments, preparing prescriptions and updating medical records. Its a popular system in general practice and in some hospitals and it keeps your records safe. We now have a version of this called SystmOnline which enables patients to book and cancel appointments and order prescriptions in a much easier way. Each patient has to granted access to this new system individually and in person, so simply ask at reception or when you see a clinician. For patients under the age of 13 years, parental / guardian access is permissible but due to confidentiality, once a patient reaches 13 the password will automatically expire and the child will need to apply for a new password. Systmonline is also available as a free 'App' for your mobile device (IOS and Android Apps are available), just search your Appstore for 'Systmonline'. The App also allows you to book (and cancel) appointments as well as requesting you repeat prescriptions online. 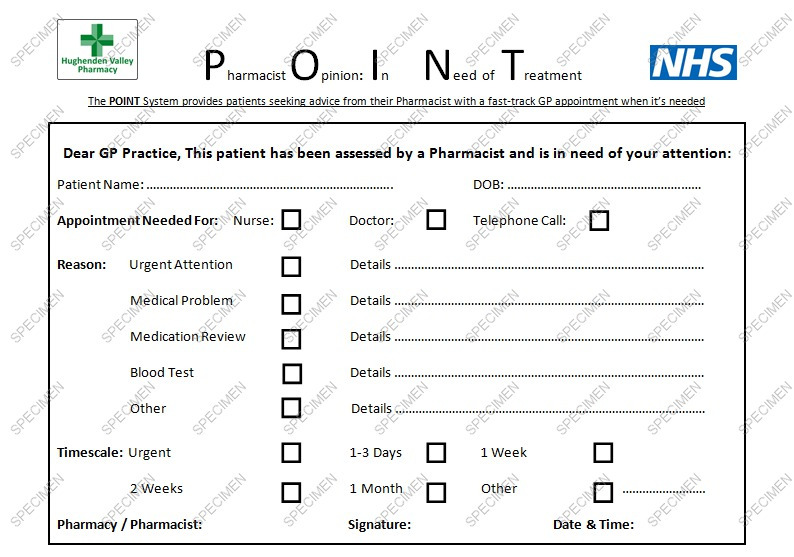 Tear Off Slip - tear off the right hand slip from your last ordered prescription and mark which medication you require. Either hand this in to our dispensary or post it to us. If you wish to have your prescription posted back to you please supply a stamped addressed envelope. Write us a note - if you do not have the tear off slip you can write us a note and we will process your request in the usual way. For reasons of safety we do not accept routine repeat prescription requests by telephone. Prescription requests received by 08:00 will be ready for collection 48 hours later. Requests made after 08:00 will be processed at 08:00 the following day. Prescriptions with queries, or which have expired may take longer as they need to be seen by a doctor. Please try to give as much notice as possible to ensure that you do not run out of your medication and to ensure that the medication is in stock if you are a dispensing patient. Please remember to bring enough money or a cheque book (if you pay for your prescriptions) as we are unable to extend credit. Please remember that the doctor or nurse will need to see you at regular intervals to review your condition so leave yourself enough medication in case you need an appointment.